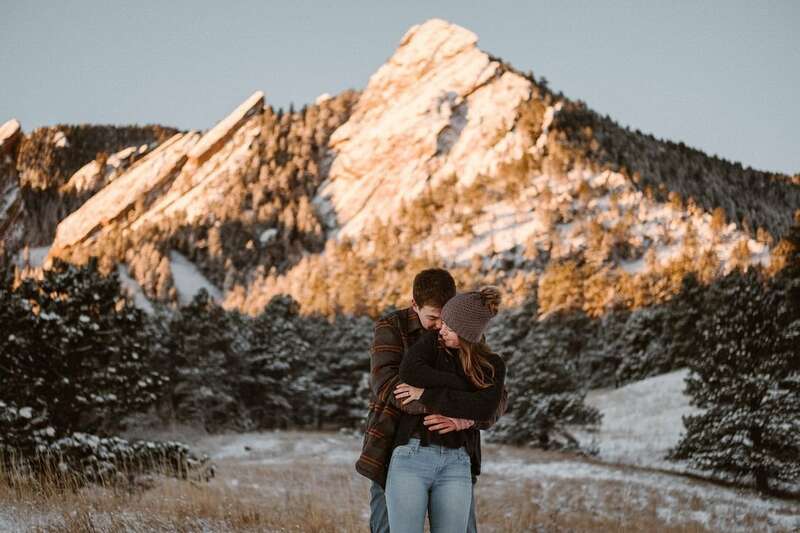 Liz and William’s winter engagement session at Boulder Falls was so much fun, despite the freezing cold weather and icy trails! Liz had been following me on Instagram for months, then finally reached out when I posted about wanting to shoot at Boulder Falls. This iconic Boulder, Colorado location was closed for many years because of damage after one of the big floods. 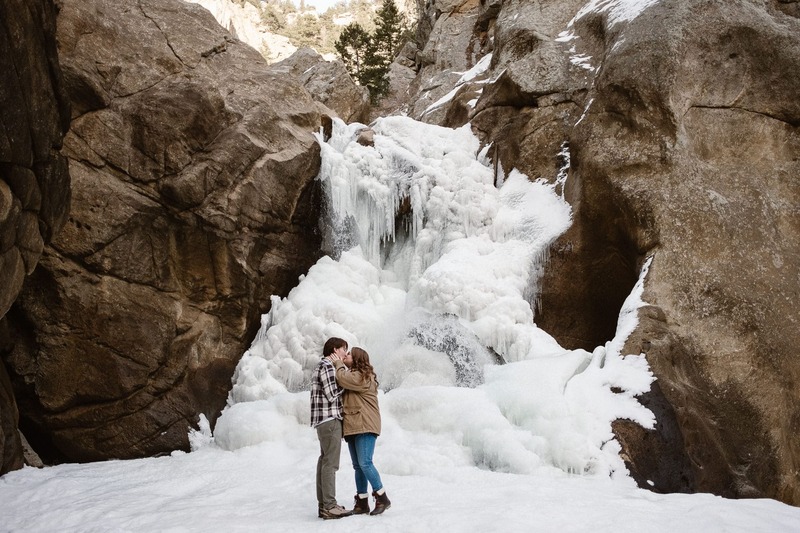 So despite the pretty photos I had seen online, and the amount of times I’ve driven past the trailhead in Boulder Canyon, I had never actually done this short hike before Liz and William’s Boulder Falls winter engagement session. The trail was reopened earlier this year, and I am so excited that I finally got to check it out. We decided to meet up down in Boulder so that Liz and William could ride with me, rather than driving up the canyon separately. Since there’s no cell service up there, it’s easy to get lost. I love having the driving (and hiking!) 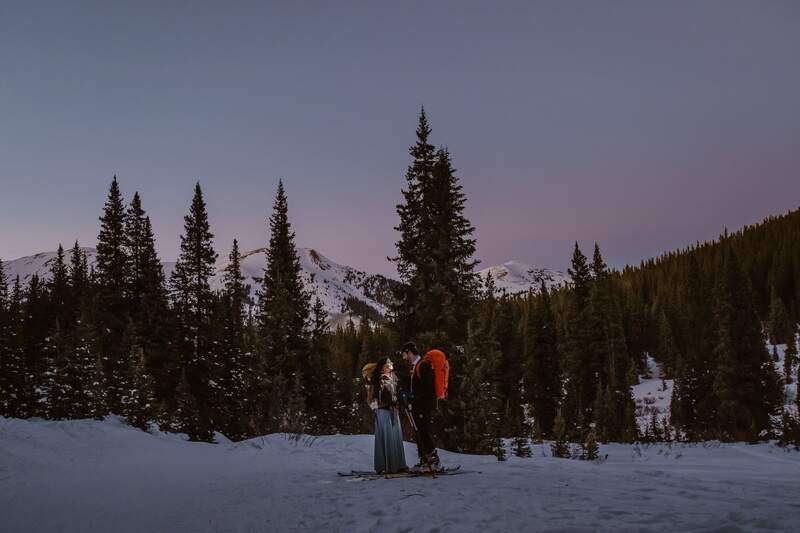 time to chat with my couples before we start shooting, because let’s be honest – it can be kinda awkward to just meet a photographer at a trailhead somewhere and immediately be on camera. There were a couple of other hikers on the trail, but we ended up having the falls to ourselves for almost half an hour. Not bad for a Boulder Falls winter engagement on a Saturday afternoon! 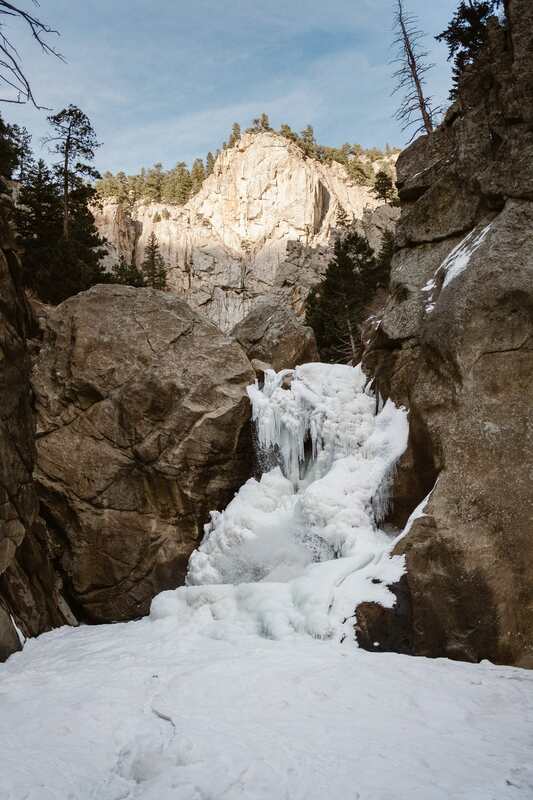 Note that there are signs posted at Boulder Falls that encourages visitors to stay on the trail. Please make your own informed decision on whether the ice is safe, and if you are willing to risk walking on the ice. For more on rules and trail info, visit the Boulder OSMP website.